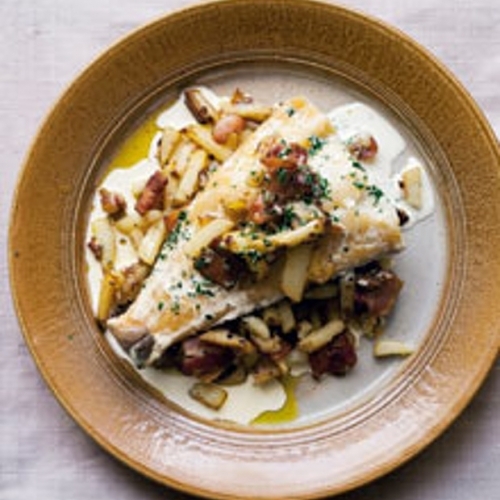 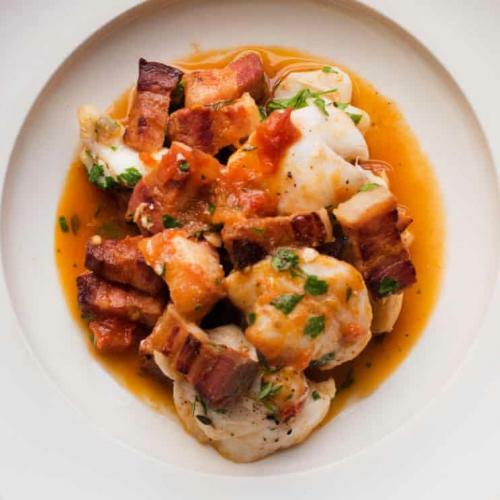 Smoked haddock cooked with potatoes, bacon, cream and parsley. 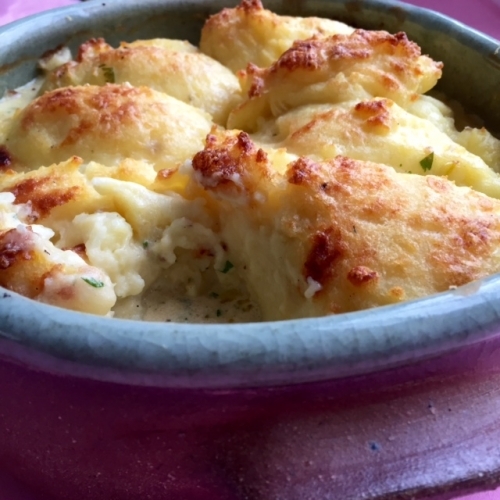 Haddock, mushrooms, cream sauce, mashed potato crust. 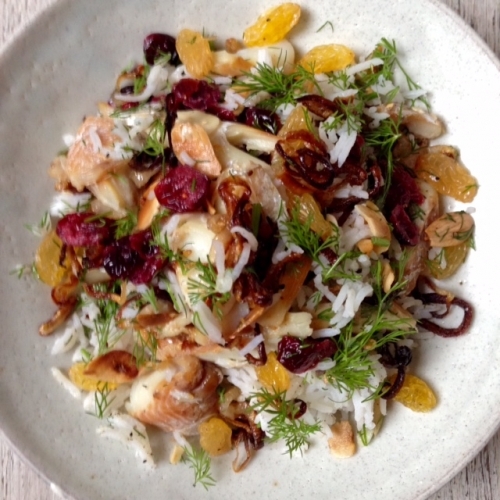 A pilaf of Arbroath Smokie with dried fruits. 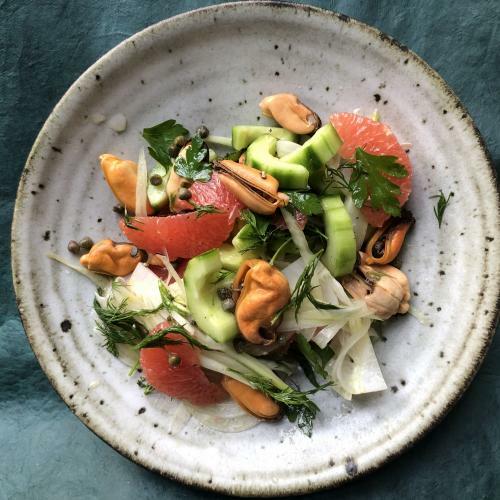 Vine fruits work well with smoked fish. 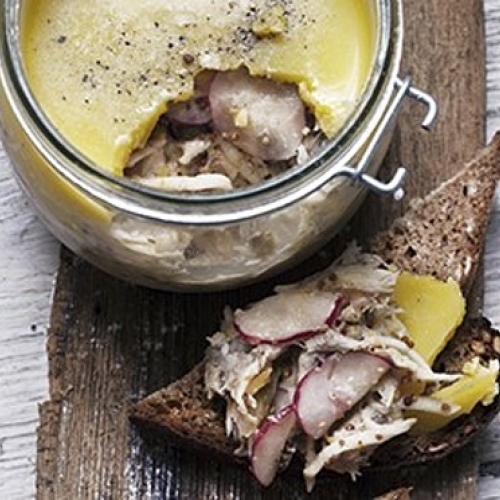 A potted spread of smoked mackerel and celeriac for eating on hot, crisp toast. 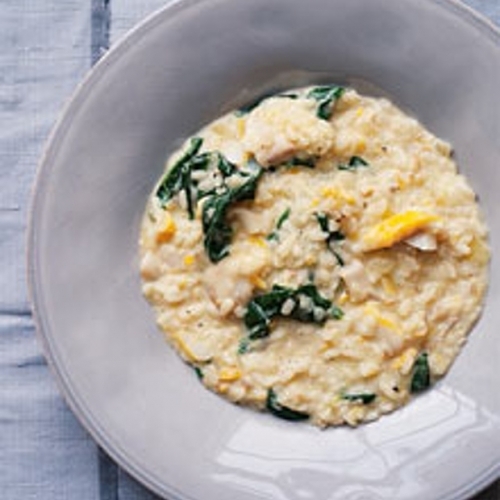 A risotto of smoked co, and spinach. 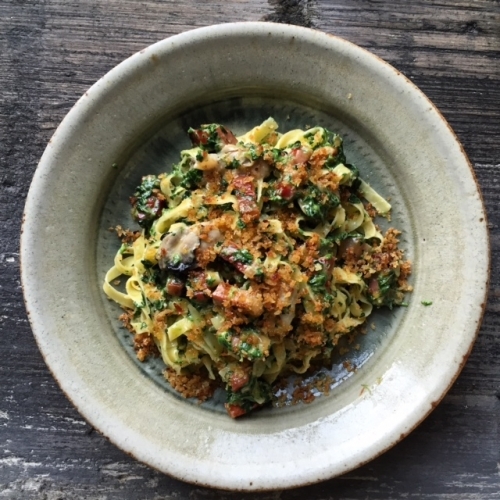 Gentle, homely flavours for a chilly winter's day. 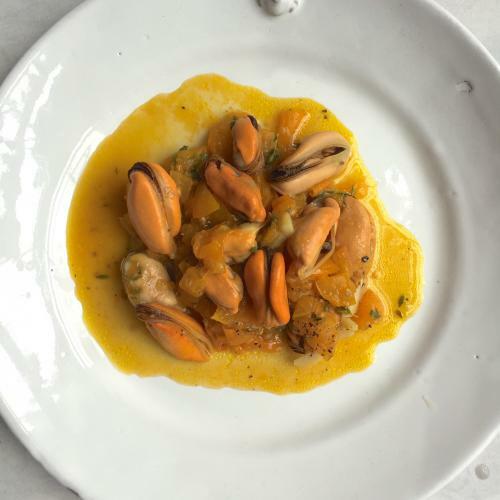 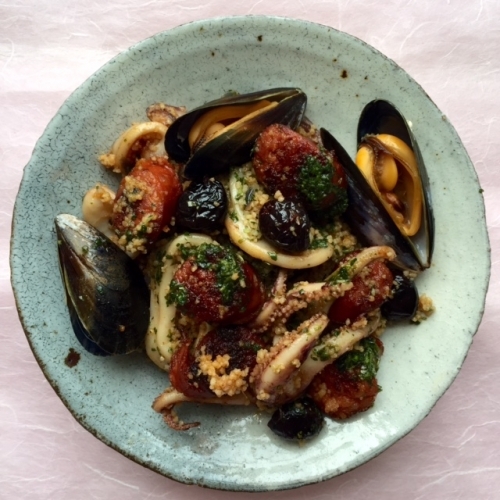 Couscous with squid, mussels and chorizo. 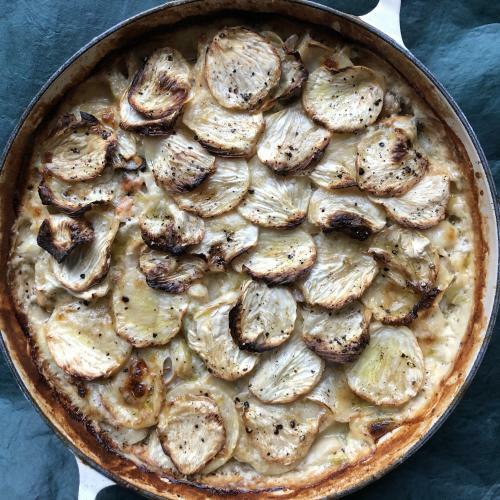 Warm grain and big flavours. 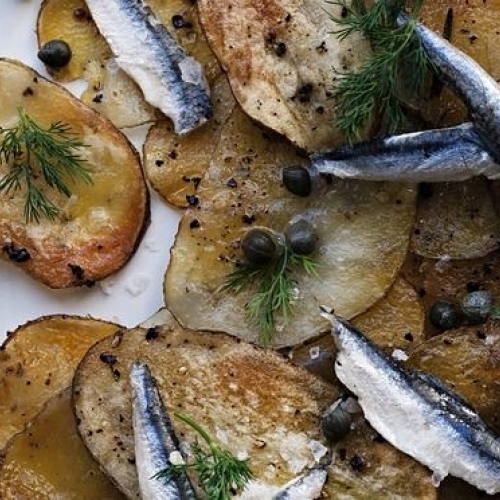 Crisp thin-sliced potatoes baked with marinated anchovies, capers and dill. 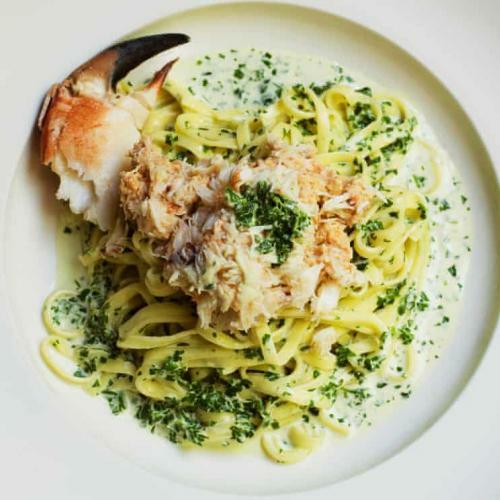 Tagliatelle, cooked with oysters, spinach, creme fraiche and Parmesan. 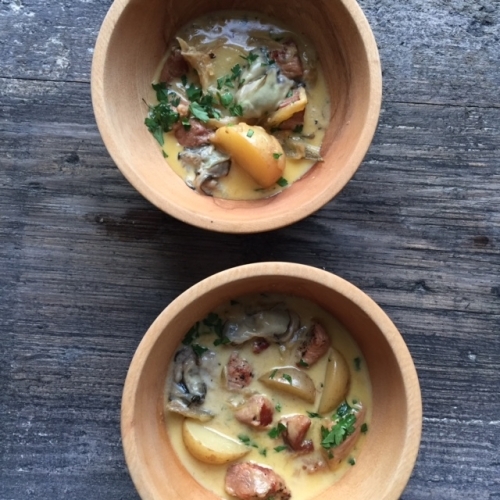 A little stew of pork, fennel, new potatoes, creme fraiche and oysters. 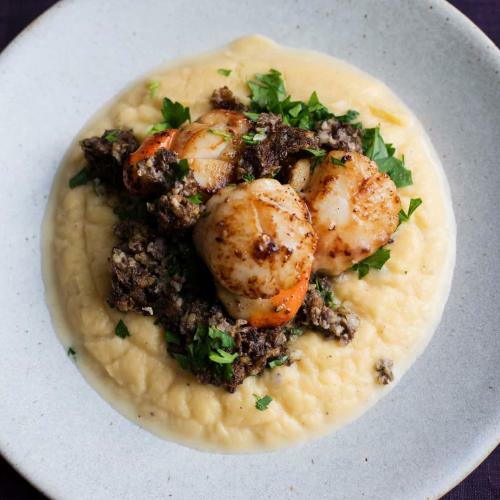 Scallops with swede mash and seasoning of roast haggis. 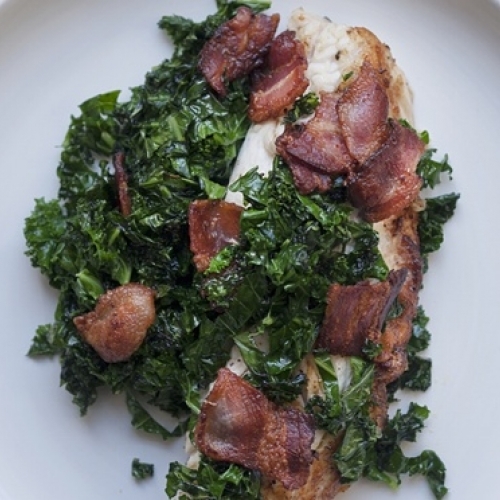 Sea bass, cooked in butter with crisp bacon or pancetta and young kale. 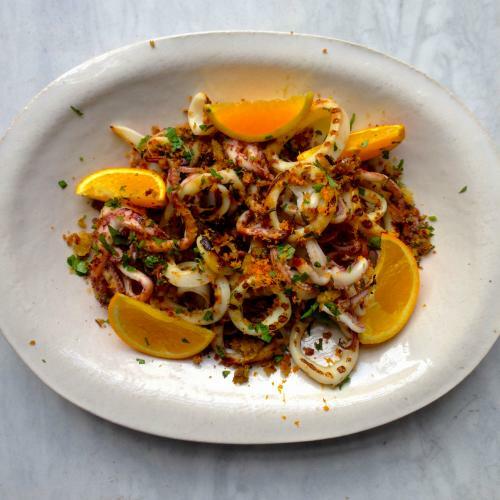 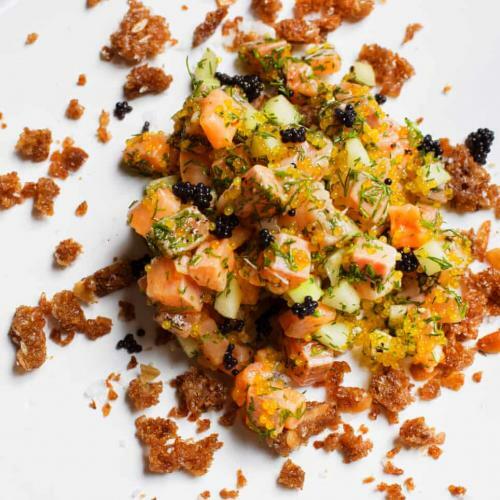 A delicate, refreshing fish dish for a first course. 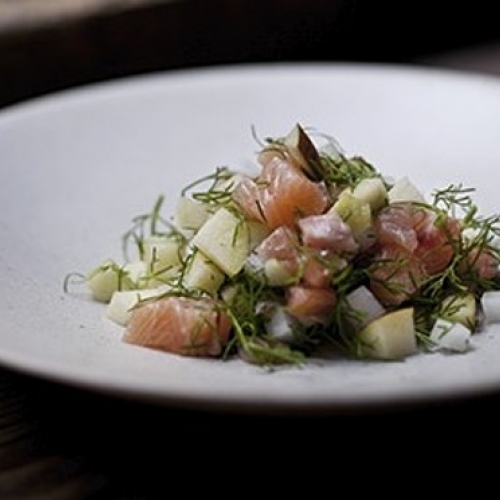 Raw trout with apple and yuzu. 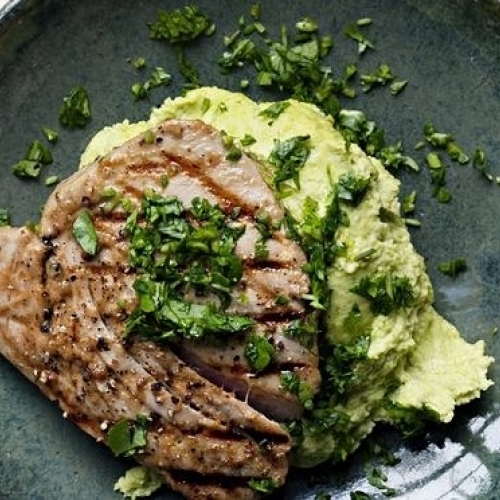 Grilled Tuna steak with a warming mash of edamame beans and wasabi. 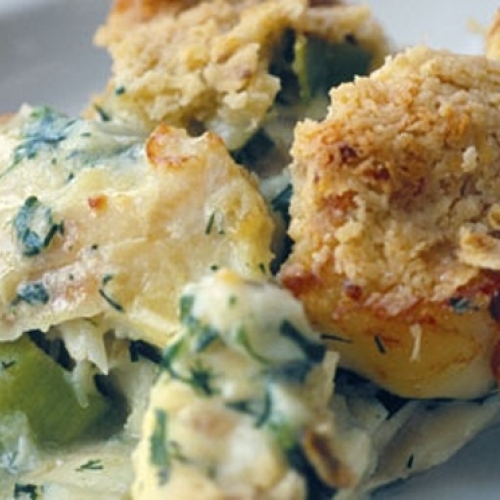 A smoked fish and leek pie with a crumble crust with oats and Parmesan. 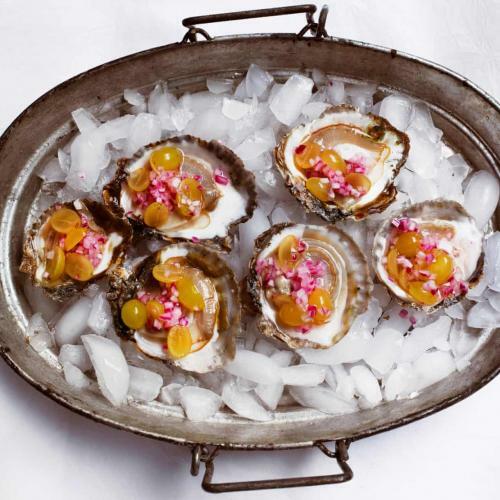 Richly warming, a little special, fragrant and complex. 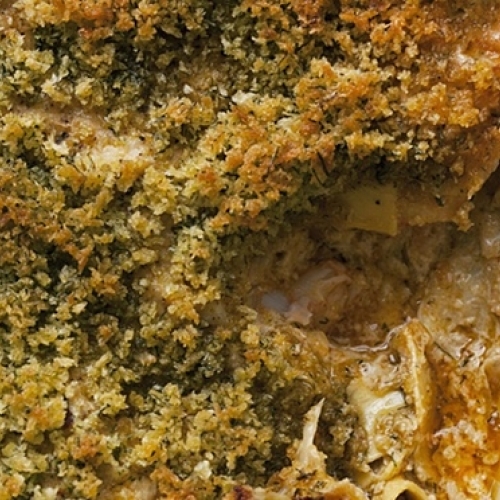 Gorgeous eating, layer after layer.